As per latest announcement, BCECE Result 2017-2018 has been recently announced by the Combined Entrance Competitive Examination Board of Bihar. Recruitment board has organized the written exam on 18/06/2017 and enormous numbers of applicants has participated in the selection process. Curious aspirants are required to download their Group Wise Performance Report via online mode. Individuals can download the June exam by visiting the official website of the Bihar Board. For the assistance of applicants, we have provided entire steps through which individuals can download the BCECE Result. It is informed to qualifying contenders that they need to appear in the further of selection that is interview/ Counselling and document verification. For getting additional information, candidates are required to go through the beneath segment of this page which is well created by our diligent team members. Candidates who have done 12th or equivalent with the PCB & PCM stream and also appeared in the Bihar Combined Entrance Competitive Examination are informed that their outcome is officially announced now. To download the June Exams Group Wise Performance Report, individuals need to follow here displayed simple steps. Have a look here!!!! 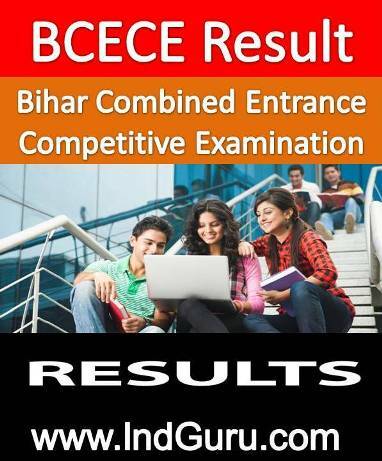 First of all, willing contenders are required to go through the official portal of Bihar Combined Entrance Competitive Examination Board that is www.bceceboard.com. On the home page, move your cursor towards right side and go through ‘Latest Updates’ section. Thereafter individuals should choose the ‘Result of BCECE-2017(Adv. No. BCECEB(BCECE)-2017/27 Dated 16.07.2017)’ link. This will take you another page, having a PDF file in which qualifying contenders roll numbers are given. Find out your roll number in the merit list and after that save it on your desktop or take the hard copy of your bceceboard.com Result for future use. Bihar Combined Entrance Competitive Examination was conducted by the Combined Entrance Competitive Examination Board of Bihar state. Aspirants, belonging to PCM GROUP and PCB GROUP who had participated in the Combined Entrance Competitive Examination that group wise merit list are available on the official website of the organization. Follow the BCECE Result link to check your performance in the exam as well as further details and stay connected with us. All qualifying contenders need to appear in the interview which will be scheduled interview. Hope you acquire relevant and crucial information concerning to BCECE Result 2017-2018 from this page. Candidates are advised to book mark our page by using Ctrl+ D key for acquiring latest information. If you have any query related to above presented information so you can leave your comment in comment box which is available in the below segment.